Hello Frndzzz.... www.dealsnloot.com Back With New Paytm Free Cash Offer. PayTm is offering Free Rs. 15 PayTm Wallet Balance for new PayTm users. At First, Install Bluestack into your Pc. Open Bluestack, & Install Paytm app in it. At Next page, Apply FREE15 promo code & Get Instant 15 rs discount. 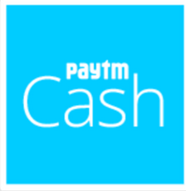 15 rs will be credited into your Paytm wallet under 48 hours after apply promo code. Change Bluestack Android id, GUID, Advertising Id with Bluestack tweaker software & Earn Unlimited Paytm Cash, sometimes ip change is also necessary.